Lexcelera offers translations in more than 100 languages. How many words do you translate per day? On average, a translator will translate around 2500 words per day. Quite often this speed is not quick enough to meet urgent customer deadlines. For example, 1000 pages of technical documentation might have an urgent time frame of only 5 days. In cases like these, Lexcelera creates teams of translators who work around the clock, collaborating with each other and with smart technology to meet virtually any deadline. Can I modify a text after you have translated it? 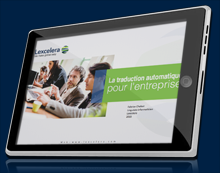 Lexcelera can integrate your changes anytime, even after the text has been delivered. With our translation memory technology, we can efficiently produce an updated version of your document or your online content, even years after it was originally translated. Can you deliver my translation over the weekend or after hours? Yes. Lexcelera’s offices around the world provide a follow-the-sun service so that our translation services are available 24 hours a day. For example, a project may be launched in Singapore, transferred to the Paris office for proofreading and delivered after hours by the Argentinian team. Do you have internal translators? No, we do not have internal translators because relying on our network of literally thousands of translators around the world allows us the flexibility to offer the widest range of language pairs and subject matter expertise. A large international network also allows us to benefit from multiple time zones to offer a 24 hour service. How do I send you a document? For documents up to 10 MB, you can email us the files. If you have used a compression software, unzipping files is no problem for us. For larger documents, we have a file-sharing service (FTP) for secure transfers. How do I send you large files (for example, 10MB)? For larger files, we have a file-sharing service (FTP) to securely send files that could be 10 MB, 20 MB and even larger. Machine translation is another name for computer-generated translation. Google Translate and Microsoft Bing are the best-known example of machine translation. There is a difference between a generic machine translation (or MT) system such as the systems above and an MT system that has been fully customized. Each MT engine that Lexcelera builds is customized for a particular customer to make sure that the correct terminology for the company and the domain is employed. This leads to a higher quality output. For top quality, human post-editors review and correct the computer generated translations. Do you use human translators or machine translation? People are always behind our translations. Even if a customer asks for a machine translation, our people customize the MT engines and verify that the output corresponds perfectly to the quality required. Whether we provide a fully human translation, a machine translation or a combination of the two depends on what our customers need.